A new academy designed to equip young athletes from the Isle of Man with the skills to "compete on the world stage" has been launched in Douglas. The Isle of Man Sport Aid Academy is aimed at athletes aged between 13 and 16 from a dozen sports. Performance Co-ordinator Chris Quine said it is an "ambitious initiative" which will build on a previous programme led by Dame Kelly Holmes. Four training and education events are planned in the academy's first year. A spokesman said they aim to "identify and nurture potential at an early age". 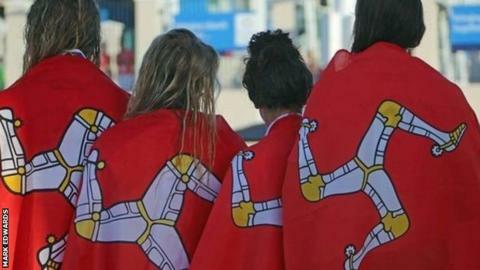 Quine said: "This is an ambitious initiative aiming to build on the legacy of the Isle of Man Sporting Excellence Programme, which was led by Dame Kelly Holmes from 2012 to 2014. "We hope to equip our young athletes with the skills and knowledge they need to compete on the world stage." In recent years Manx athletes including cyclists Mark Cavendish, Peter Kennaugh and motorcyclist David Knight have between them won Olympic and World, European and British titles. The initiative was launched at the Manx museum in Douglas.